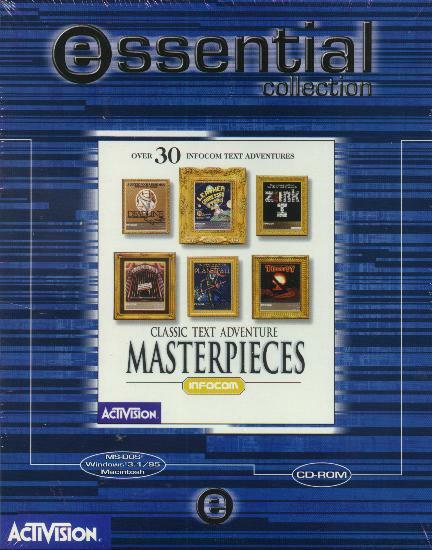 Okay, if you're a serious Infocom fan or collector, you've already snagged yourself a copy of Activision's Masterpieces collection. But do you have this version? The "Essentials" series is Activision's European re-release of some of their recent adventure hits. In addition to Masterpieces, Return to Zork and Zork Nemesis were released in this type of box. An "Essentials" Masterpieces is far easier to acquire from overseas than the original is here. In fact, you may still be able to get it from Interdata Developments.